Do You Consider Aspergers or ADHD an Illness? Or a hurdle? I'm sure that answer is wildly different for each person. For me it was only a disability not knowing what was going on but since discovering my creative abilities then aspergers its definitely a gift. IMO It is an illness..but that doesn't mean something good can't come out of it...I have a condition called Agenisis of the Corpus Callosum.... It presents very similar to Aspergers in symptoms except part of my brain is actually MISSING . I am a wonderful talented graphic artist, and mom, and friend...and a bunch of other things. I don't let it define me, but it's still an illness the same as Aspergers/ Autism is. Just my .02. My son has ADHD and Asperger's and I have explained to him not that they are illnesses or a disability, but they are just the different way that God made him, and God has made everyone different. Nope. Have to think about why, though. Illness, to me, sounds like sickness... and our son's Asperger's feels different somehow. I think of my son having a special gift. He is 11 and every day its something new. He amazes me every day. Some days are a challenge but I enjoy every minute. I wouldn't want it any other day. No, I dont think so, I think it is just the way our children are made for lack of a better term. ANd I think that there are a lot of advantages that we have to look at with our children who have these "issues". ADHD has been given a lot of negatives and at times it was hard for me to deal with growing up. But one day I needed to stop and think about the positives. Yes, I struggled all through school. Yes, I drove my parents crazy most days. Yes, I made my parents chase me down the street in front of the neighbors quite often. Yes, sitting in church was torture for me at times. Sometimes they had to drag me out while I was kicking and screaming. At times the pastor would just have to stop preaching because he couldn't be heard over me. 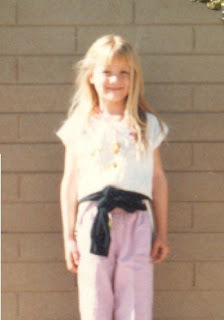 Taking me to the store was sometimes humiliating. As an adult, these struggles don't always go away, they just change. Organization is like rocket science to me. I love going to church and I go three times a week. BUT I have to keep my hands busy by doodling so I can focus. When I compare myself to moms that making homemaking and organizing look like a cinch, I want to hang my head in shame. I tend to go in circles cleaning up because of my focus problems. I still wear earmuffs when the house gets too loud. Don't get me wrong. I'm a very traditional homemaker and LOVE it. I bake, clean, cook, wash, sew, have babies, homeschool and I love every bit of it. ADHD I believe helps me keep up with all these things. Juggling it, albeit not perfectly and some days despairingly, I will work myself to exhaustion making sure it gets done. Being able to move quickly from one thing to the next without having a perfectionist mentality makes it possible for me to keep up with a busy life and making room for spontaneity. At times I may go to bed with a spotless house. Sometimes I may be too embarrassed to answer the door. But I can promise you this, I go to bed in peace that I give it my all every single day. I may not have all the clothes washed or dishes may be piling in the sink, but it's probably because I'm out back playing soldiers with my boys or barbies with my girls in their room. If you are looking for a supermom, then you're looking at the wrong gal. But if you are looking for an example of someone who loves life, loves her family, tries every day to work on her weaknesses, then you've found the right one. Even though I struggle, I won't give up and just roll over because orderliness is a character quality. Preparing myself and my surroundings so that I will achieve the greatest efficiency. Some may call ADHD an illness. For me it's just been a hurdle. I truly am blessed. Can vote once a day! What are the chances that two Aspergers kids would find each other and make friends? Especially when they don't have that knowledge of each other? I was amazed one day when I got a phone call from a friend's mom that the kids wanted to get together. Somehow Aspergers came into our talk and she said, "Hey, my son has Aspergers too!" We were amazed they found each other at school and became good friends. What a blessing! It was wonderful to watch them interact and have so much in common. They both LOVE video games and they will talk and talk about them. (Chaz will talk hours with you about one game). It's been incredibly hard for Chaz to find friends and this has been such a boost of confidence for him. Sadly, they are now at two different schools but have kept in touch. We got invited to a birthday party for Chaz's friend and as much as I wanted to get some stuff done that day, there was just no way I was gonna let anything get in the way of Chaz having a buddy he can relate to and have that unconditional acceptance. As a family of 8 we went and it just was great to have Chaz feel confident of himself, not be ignored by a group of boys, and just enjoy himself. I can just imagine how great this would be having a network of friends in the area. Or a camp with Aspergers kids he could go to. I've seen many in other states but not so much in my area. Even the ones I have seen are incredibly expensive it's shocking. It just feels so good to have friends for anyone where you have something in common with them. Understanding each others strengths and weaknesses. I'm happy for Chaz. Especially because he's going through some bully again lately. Whenever he goes through kids calling him a weirdo or freak, he says he doesn't want to live anymore. That breaks my heart. Thank goodness for moms where a kid can come home and just find comfort after a rough day. When he was 5 he would just run into my arms everyday. Usually he'd cry and cry. School for him was NOT fun and was emotionally and physically exhausting. Now, instead of running into my arms, he talks. I will never shut him up because he NEEDS to voice his feelings. I don't ever want to prevent him from opening up to me. Whatever it is I'm doing at that moment can be put down for later. Even if it's hard to follow what he is saying at times (because he talks so fast and his sentences are like run ons), he's worth listening to. If I can't build a relationship now with him at 10 years old, what makes me think I could wait and hope I can in his teens? Since my kids were really little, that is something I realized. Don't wait. I have a question that I am having trouble finding an answer for, I hope you can help. My six year old daughter laughs when i tell her not to do something because it may hurt her or anyone in the family even the baby. She asks why not to do something and I explain what could happen and she laughs sometimes very hard. I have tried to get her to not do this and it is not working. I should mention if anyone actually does get hurt even a little she breaks down screaming and crying for a while with her head in a pillow. I don't know how to get her to understand this is inappropriate. Can you help? Is she the only one? Come join in our discussion by clicking HERE! Wow, since buying Chaz those Peltor Earmuffs I've been getting good reports from his school bus driver. Chaz has to ride the school bus for an hour coming home (but not in the morning thank goodness). The bus noise is very LOUD. It's funny how when when wears the earmuffs it calms him down. When he doesn't wear them he tends to get out of control. I mean, there is night and day difference. Since then we have got a pair for Ivy who has SPD. I'm really impressed. His next favorite place is to wear them is in the van. We are a family of 8 and sometimes it can just get noisy, you know? We all talk at the same time and sometimes even have friends in the van with us. Yes, we have a BIG van. LOL. My husband and I are both ADHD and sometimes SPD can often be paired with it. 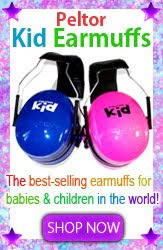 There are times that I've had to borrow Ivy's or Chaz's earmuffs just because I'm having major sensory overload. I know exactly how Chaz is feeling. It's an anxiety that builds up and makes you feel like you are gonna explode. One time my husband thought it'd be funny to get all the kids screaming in a small area. I don't know why he thinks that's funny but everyone things it's great. lol. Anywa, I panicked to get out of the room and injured my wrist. Sometimes I'm just working around my house and when things just get a little too loud I'll wear them. You still hear what's going on but just at a lower decimal. By the way, no I'm not writing this as an ad. I just feel like I have to share something that has been a saving grace for us. Had to share this funny video! Lately Chaz has been tackling his brothers a lot. Really hard. My son Ryan came in the living room with big alligator tears telling me Chaz jumped on him twice really hard. Ryan already had a headache and was doing his chores. So to be tackled and hurt his head, just did Ryan in. He was in tears. I gave Ryan (9) a hug, told him to lay down in his bed. I had a talk with Chaz about being too aggressive. I explained to Chaz that his younger brother is already not feeling good and now he's hurt. Chaz said, "But mom, I'm Aspergers so I can't help myself. I'm not like other people." My response? "Chaz, you may have Aspergers but it doesn't make it impossible to treat people right. It may be harder for you at times, but not impossible. Please go give Ryan a hug and apologize." So he did. I also asked him to take Ryan's chores for the night to show Ryan he truly is sorry and also to take care of things for him since he is sick. Instead of putting Chaz in the corner or in his room (which he loves anyway), I needed to teach to care about not only someone's feelings, but to show it with his actions. I've had to do this over and over and over since he was about 3 but I'll keep teaching him this until he moves out on his own. I've really seen Chaz grow in this area. 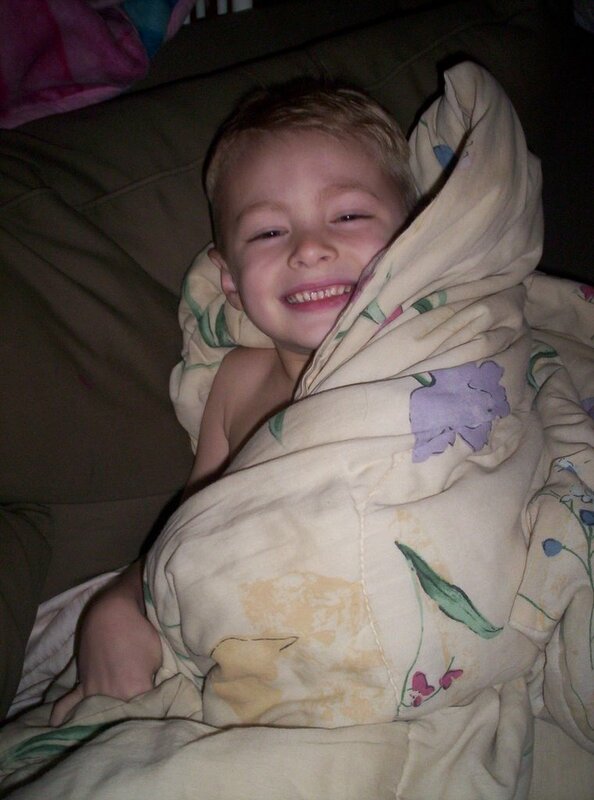 When Chaz was little he would hurt a kid and not even blink an eye. It was incredibly embarrassing and frustrating to explain to people. What was I to do? Shrug my shoulders and just say "Oh well, he is Aspergers?" OR walk Chaz through these experiences and teach him to say sorry with his words and then by his body language? If I can use those words. Body Language. Teaching his body and his actions to line up with his words I think are incredibly important. Did you see the previous story titled Like an Airplane? If you've read it, this is a reply I got from Gavin who has an Aspergers son. Here is his comment which will touch your heart. The aspie has discovers something awesome about the special interest. He KNOWS that it made him excited and he wants to share it with you. It's sometimes quite difficult to understand why other people aren't excited about these things. It's like you're watching fireworks explode and the other person is just looking at the grass. It's almost impossible to comprehend that they aren't excited. Perhaps they don't understand the whole picture? Maybe we have to explain it from the beginning? Then... the other person tells you to shut up.... they walk away. Your news is boring. YOU are boring. You feel offended. Sad because you obviously couldn't convey your information. You ask; What's wrong with me? Why am I so boring? It's a blow to your self-esteem. 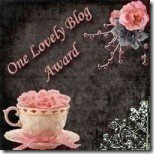 I now have a blog button if you'd like to add to your website! A kid with Asperger’s Syndrome is like an airplane. His thoughts and words are like luggage on the plane. He flies toward you when he has a thought he absolutely has to share right now. He drops the luggage on you, not really caring if you catch it. Sometimes you answer him with “cool” or “that’s great” but he really just wanted you to hear what he was saying. He doesn’t even seem to want give-and-take conversation most of the time and doesn’t like suggestions on how to do things, so you just hold out your hands and take the luggage, even if the luggage arrives every 3 minutes like clockwork. The plane doesn’t care if you are in the middle of a phone call or are in the shower or bathroom or are talking to someone in person. The plane does mature, though, and learns not to dump luggage just anytime and learns to stay in a holding pattern until you can catch the luggage. Sometimes you open the luggage and put it on your blog. You are looking for other people who know what you are talking about. The book is available from the publisher Future Horizons, Inc.
School in Grosse Pointe. 333 pages. $24.95. Ready-to-use lessons with games, role-play, activities, and more! The book also includes a CD containing Adobe PDF files of printable worksheets, letters, forms, and more. Recently I reflected on Chaz's earlier days where our heads were spinning and we couldn't figure out why some things were just not obvious to him. Behavior and social skills that came so natural to me. I even got tired of hearing myself say "Why would you do that, Chaz?" He gave me this look that said "Why not?" Once Chaz was diagnosed with Aspergers, it clicked. Oh. Social skills may not come natural to Chaz but I can teach him. Where do I start? That's where A Quest for Social Skills is very helpful. How nice would it have been to have something just literally in front of me giving instructions on teaching these skills? 5 years later, I still have to work with Chaz on these skills. Yes, he's come a long way but new situations (as he matures) bring new challenges. Q: Why do some children benefit from formal social skills instruction? A: Most people learn how to navigate their social world by modeling others, making mistakes and being corrected. 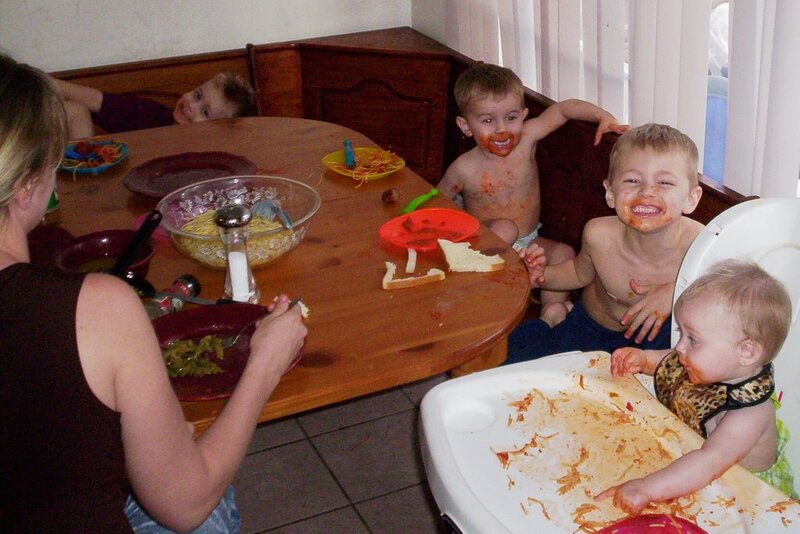 Parents are usually the first and most important social skills teachers. 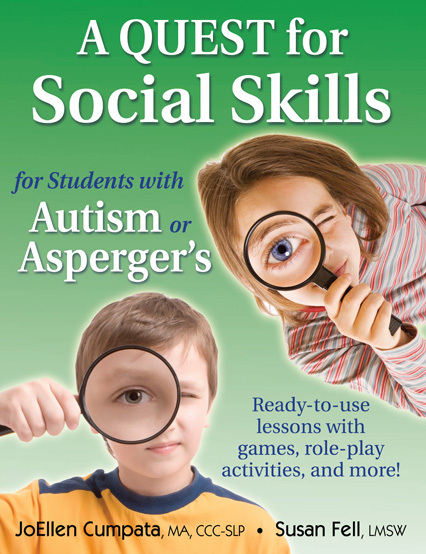 While some children may not have effective social skills models, others lack the ability to interpret, learn and generalize social skills without formal instruction. Children with autism, Asperger's Syndrome, cognitive deficits, mood or attachment disorders, or even AD/HD may have social skills weaknesses. JoEllen Cumpata is currently a school-based speech language pathologist. She was formerly a clinical supervisor at Michigan State University, teaching classes related to providing school-based speech and language services. JoEllen also served as a speech language pathologist at Massachusetts General Hospital and Children’s Hospital of Boston, working with adults and children. JoEllen has a Master’s degree in Speech Language Pathology and she resides with her husband and two daughters. Susan Fell is a school social worker specializing in working with students with autism and Asperger’s syndrome, and in parenting education. She earned her Master’s degree in Social Work from Arizona State University, and her School Social Work Certification from Wayne State in Detroit, Michigan. Susan is married and lives with her husband, and occasionally with her two college-age children, who are both currently studying to become educators. Well, we had the final meeting with everyone for Chaz. They confirmed Chaz's Aspergers syndrome and explained why he struggles so badly in a regular classroom setting. He will be attending at a certain school that is a ways from me but will have transportation right to my door. Ryan will be attending the school close by. So, for at least a little while they will be in different schools until we move. They told me that at home I have to create a "visual" schedule for Chaz because he has a hard time with transition. This will help him to prepare with what comes next. That'll take me a little bit to work on since I'm not much of a schedule person. I love to be spontaneous and have always detested schedules but I have to do it for Chaz! That'll be interesting. That also means that I can't always be running errands and such because you have to drop everything and just pick up and leave. I'm used to doing it but it can be exhausting because they are all still so little. Even when I come back from my Homemakers Club, I usually have to take a nap when I get back home. What to do? I had no idea and I just had to trust. It is true in the very beginning Chaz had to be in a special needs classroom. He was completely out of control in a regular classroom and I was beside myself trying to figure out what the best thing would be. You know what broke my heart? Seeing him try so hard and EVERYDAY get off the bus, run to me, and just cry in my arms. He would just sob. He's say "Mom, would you please just play with me?" He would just be spent emotionally, physically. It broke my heart. Yesterday Chaz had his final test with the school to see where he is at. Tomorrow we meet with all the people that gave the test. The teacher, the psychiatrist, social worker, speech therapist, and academics. The test he had yesterday was with the speech therapist. He failed in the social arena. She said he does everything that is very typical of an Asperger kid. That was reassuring to get a second opinion. She's not the only one. I've had others. The first diagnosis came from a psychologist. (Different from a psychiatrist). Basically, Aspergers is "Autistic like qualities but with developed speech". It's basically all in the social arena. He doesn't survive in a normal classroom setting. It's so much harder for Chaz to be put in there and he basically will withdraw himself mentally. This is why he's been to 3 schools in one Kindergarten year. All 3 couldn't teach him because regular classrooms are not equipped for that. There is only 1 teacher to a large size group. So, I am finding out that though I have fought to keep him out of a special needs classroom, he has needed teachers that can work with him. This is not such a bad thing as I thought. I guess times have changed. Now, they try to graduate you out of a special needs classroom into a regular classroom. Once you do successfully, they drop the special needs off of your school record. As if it was never there. Please remember that this is the very beginning of my journey and many things I express on here are from a newbie mindset. I had absolutely no idea how to go about everything the right way. Things and ideas were thrown on my left and right. Especially the medicine. I discovered later that the medicine they had me give Chaz was what was causing his depression and I immediately took him off of it. At this point he was in a self contained classroom. The teacher was told me if I didn't put him on medicine they don't want him there. Chaz regularly was throwing chairs in the classroom and turning over tables in fits of rage. He would stand up and cuss his teacher out. Often the teachers had to hold him in a bear hug and hold in his arms to calm him down. Chaz was very violent and to the point where I had to hide the knives in my house. These entries were at a very desperate point in my life but it's obvious in my writing that I was tryin very hard to stay positive. I went to see Chaz's doctor yesterday because I had been observing Chaz since he last went. I had a few more things to tell her that I had noticed he struggled with. Once I shared them with her and she was watching Chaz in her office, she again confirmed that he is very much has "Asperger Syndrome". Much more than we had originally thought. Also, OCD (obsessive Compulsive Disorder) which actually comes with Aspergers. It is not easy to diagnose Aspergers (Autism) because you have to be everything on the list to be diagnosed that. You can't just have a couple or even a few things. The one thing that stops him from being "Rain Man" Autistic is his developed speech. He talks well and is not delayed at all in his development. The Dr. prescribed him new medication including a new one to help calm the OCD and ADHD. I went to the pharmacy to pick it up but something the pharmacist said stopped me right in my tracks. One of his medications is addictive and needed special authorization. I went home troubled thinking about it. Number one, Aspergers is not curable. So does this mean he will always need these meds? Do I want those kinds of things in his body for so long? Charles and I talked about it. I slept on it. This morning I decided that I will not put him on these meds. I will go a natural route. Yes, it will cost me more money. The medical field will fight me, the school will fight me, and even some people in my life will. But I have to think about what is best for Chaz. God made Chaz special. Aspergers is not just "a curse". There is a positive side. They tend to have a photographic memory and are very intelligent. Do I want to suppress that with drugs? I would rather only rid the negative symptoms. I found a proven natural route to go so we will be going in that direction. If his school will not agree with me, I will pull him out and school him at home until I find a school that will support us in our decision. Today the school is having a meeting about Chaz and coming up with an IEP plan for his education which is good. But this nutritional route I am putting him on will keep him in a regular class room. The state does pay for someone to come to my house and specially tutor him and give him speech therapy. They also will take him on field trips to teach him how to respond socially to situations. What is proper and what is not. The state will even pay to have someone come to your house so you can get out once a month alone with your spouse. That is great since Chaz is quite a handful for us. Now, when we have just Ryan, Kyle, and Ivy going places, it is extremely, 100% different than if Chaz is with us. The others are calm, obedient, happy, and easily can be taken places. Night and day difference. So, I am glad that we are finding some answers and I really feel at peace the route we are taking. Our pastor, Pastor Aulson, showed a science video series by Dr. Hovind that gave us some answers. Dr. Hovind is also a Christian and he lives by the natural method of treating symptoms. Now, this won't cure Chaz of Aspergers, OCD, and ADHD but it will stop the symptoms of it. But you have to remember that meds won't cure him of it either. I met a mom that had 2 Asperger sons and she went the same route we are going 2 years ago. Her sons now have absolutely no symptoms because of it and are in regular classrooms getting excellent grades. 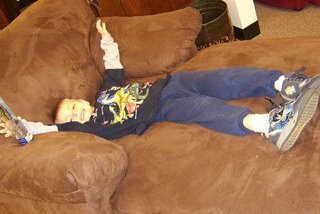 www.autismcenter.org is an excellent site for helping Aspergers or Autism without the meds. Since this journal is on my website, I wanted to provide a site to help other moms in the same boat. Take care and God bless! Individuals with AS can exhibit a variety of characteristics and the disorder can range from mild to severe. Persons with AS show marked deficiencies in social skills, have difficulties with transitions or changes and prefer sameness. They often have obsessive routines and may be preoccupied with a particular subject of interest. They have a great deal of difficulty reading nonverbal cues (body language) and very often the individual with AS has difficulty determining proper body space. Often overly sensitive to sounds, tastes, smells, and sights, the person with AS may prefer soft clothing, certain foods, and be bothered by sounds or lights no one else seems to hear or see. It's important to remember that the person with AS perceives the world very differently. Therefore, many behaviors that seem odd or unusual are due to those neurological differences and not the result of intentional rudeness or bad behavior, and most certainly not the result of "improper parenting"
I knew I had blogged the first time about some things I was going through with Chaz but I had to track it down on my family blog. Here is my first post about it. This is when our house was being built and we were all squished in temporary small apartment. It was a tough year as we were supposed to only live here for a couple of months. Turned into a year when our house kept stalling on their building process. I also found out I was pregnant with my 5 child while living here in this 2 bedroom. I still counted my blessings even through this really difficult time. Everyone had their opinions of Chaz and I even had someone tell me nothing was wrong with him. He was just demon posessed. Stuff like that completely broke my heart. I wanted to journal about my son Chaz because it might help someone out there who is going through the same thing with their son. Also, I would like to give a Christian perspective on my thoughts. For four years I have struggled with my son and being that he was my first, I thought his behaviors were typical for a boy and I overlooked them. (And disciplined a lot). I realize that there will always be someone who thinks they're a doctor and that they know the diagnosis but I just label that as "ignorance" and walk away. They have not lived with my son on a day to day basis. However, I have many people supporting me including my pastor so I feel I can move forward and help Chaz with great confidence. 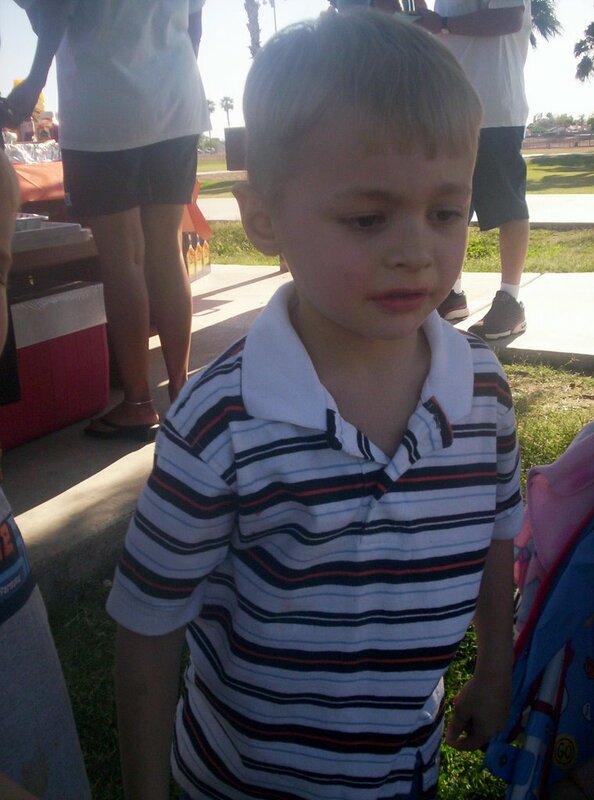 First off, my 5 year old son was diagnosed with Asperger Syndrome (and ADHD) last week. Another way of putting it is "Autistic-like qualities with developed speech". They can seem like any other kid in some ways but have problems in the social arena. There is a long list of what Asperger is and they usually have to meet all of them to be diagnosed with it. I will not be despaired because I know that God made Chaz and He trusted Chaz to our care knowing this is who he is. Aspergers can be a gift and a curse at the same time. Chaz tends to have "sensory overload". Sometimes he can handle noise, other times he'll cover his ears and start to get really upset and panic. He is literal about things that you say often times. Chaz is very aggressive and is seen as a bully at times. He can go from completely calm to very angry in 5 seconds flat. Certain clothing bother him and certain types of shirts drive him nuts. He has to have things lined up and will follow patterns. Usually people can mistake his behaviors as a result of "improper parenting" because his behaviors can look like a boy who is just rude or aggressive. The bright side, is often these kids grow up very bright and intelligent. Einstein was thought to have had Aspergers and some other successful people. They have one particular area of focus and often will only speak of that and can seem obsessed about that subject. I am grateful that Chaz is high functioning. Aspergers is a neurological disorder and not a cause of something. It is not curable but I do believe that God can heal him. Most importantly, I know God has a special plan for Chaz. I only feel blessed that God would entrust Chaz into my hands to take him on this journey. I hope my journals will help anyone else who is facing a difficult time in their lives. Yes, it has been an unbelievably hard 4 years for us, but it is God who gives us the strength. I pray that you too would look to God for answers and not dispair. The world will tell you that all hope is lost, but God gives life and it more abundantly if you seek him and make him your Lord and Savior. I know that God didn't bring us this far just to leave us. He has a special plan. I looove this video and wanted to put on this blog because I've reference from it a few times. Not to mention the fact that she has Aspergers Syndrome herself. Lecture delivered by Temple Grandin, a noted expert and author on early intervention, educational strategies, visual thinking, social skills, medications and mentoring. It dawned on me yesterday after reading an article in the Autism-Asperger's Digest Magazine that Chaz has not had a screaming episode in a very long time. It used to be that he would go into these fits of rage in his room. I've gotten quite a few episodes of it on video in case I ever needed to show his doctor. We all even grew accustomed to it. However it could be quite stressful as he would threaten to hurt himself and even punch himself in the face. I looked over at Chaz calmly playing a game on the computer. He has been more mellow than I have ever seen him. What's changed? Something huge stood out to me. She is one of those teachers you could only dream of. She's kind. Caring. Firm when it's needed. Observing. Has command of her classroom. Great communicator. AND she uses a strict schedule for her classroom. We KNOW Aspergers kids thrive off of this. They like to know what to expect. Well, she gives that to all her students. I have never walked by a classroom like hers before. Everytime I've ever peeked in her window to her room, the kids are quietly working. They respect their teacher. I know some teachers want to have their students be friends with them, but in the long run, it's a teacher like Mrs D that get the respect and adoration. Not just from students but from the parents. Believe me, after how many teachers Chaz has gone through, I am grateful beyond belief for Mrs D.
In the beginning she asked me lots of questions on how she could help my son. He was doing his usual thing of yelling out in the classroom, being disruptive, touching and pushing others, getting in kids faces. Mrs D was patient and would just call me up for advice. She's always been willing to listen. I've been down this journey with Chaz since Kindergarten. Many teachers have quit on him. I told her that she has to earn Chaz's trust. He needs to know that she's not going anywhere and that she accepts him. Sure enough, over the months he's calmed down in her classroom. His grades are improving. AND, his behavior has improved GREATLY at home! More good news!!! Yes, there is more! Chaz has been telling me how worried he is about next year. New teacher. This is always a dread for us. Usually the old behaviors come back and we start all over. He's told me he hates the thought of a new teachers and really wants Mrs D again. Well, she called me up and told me there is a BIG possibility she will be teaching 5th grade next year. She will keep her same classroom but move up with them. Wow!! Another challenge was the bus ride home. Because of all the noise and craziness, he would constantly get out of his seat, hang out the window, get in kids faces. I finally figured out that he was just responding to the craziness around him. If he could tune it out then his behavior on the bus would improve. ON THE FIRST DAY he used them I got a note from his bus driver that Chaz sat calmly in his seat while wearing these. EVERY DAY since Chaz has worn these earmuffs on the bus. Wow!! This would have saved me so much heartache in the past. Bus drivers would have thrown chocolate and flowers at me. Heh heh. Ahem. I like chocolate. Don't forget to enter my giveaway for the book Sensitive Sam!!! Many children on the autism spectrum have sleep problems and learning how to help them sleep is very beneficial. Children with autism spectrum disorder (ASD) can have difficulty sleeping through the night. Learning ways to help them fall asleep or stay asleep is important to both the family and the child. Provide a comfortable place to sleep. Have a regular bedtime schedule. Have regular bedtime rituals and routines. Teach children to sleep by themselves. Avoid naps for older children who do not need them. I wanted to add a couple because they have helped my son and they are not listed here. I have used those ear muffs I've previously talked about. Chaz loves to wear them when he needs complete silence. Or soothing sounds like the ocean from a CD player. Reading books does not work to help him relax because it keeps his mind active and he can't relax. He'll read all night! Children need a safe and comfortable place to sleep. Here are some simple but effective things we can do to help ASD children sleep better.